Ariens brings their trademarked durability and robust design characteristics to the single stage platform. The new Ariens Path-Pro features everything you expect from Ariens in a lightweight, compact Sno-Thro that is easy to maneuver, transport and store. The Ariens Single-Stage 21 in. Gas Snow Blower is great for clearing snow from driveways, sidewalks, patios and more. 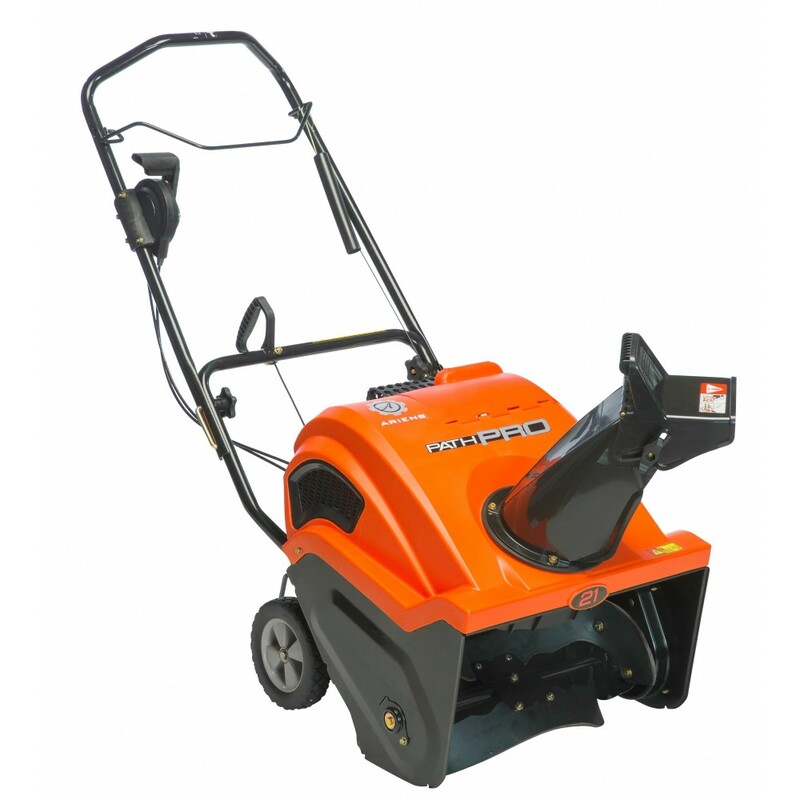 Its 208 cc Ariens AX engine helps provide ample power during use, and it features a 21 in. width for efficient clearing. The snow blower can throw snow up to 35 ft. and features a remote chute control with 200-degree rotation, allowing you to easily blow snow out of its path. The 120-volt push button electric start helps provide a quick and easy ignition. Tire Size- 7.5 x 1.75in.